David was a master musician, a poet, a writer of psalms, a worshiper and a man after God’s own heart. 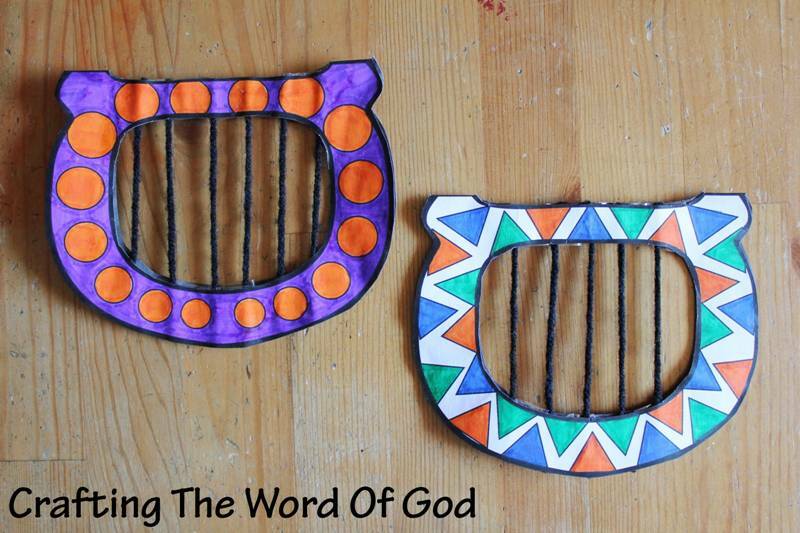 This cute craft will serve as a great reminder of the life of David. A lowly shepherd boy chosen by God to be the king of Israel. Cut out the template from the cardstock or construction paper. Using masking tape, tape five or six pieces of thin yarn onto the template. Finally add glue and join both sides of the template together forming the harp. This entry was posted in Bible Crafts, David, OT Crafts and tagged bible crafts, craft, crafts, David, Davids harp, God, harp, king, Psalm, Samuel, Saul.